Don’t leave your pet inside your car! I just cannot imagine that there are people in this world that are capable of such horrific, stupid and dangerous actions, maybe ignorance is even worse than I imagined, but the point here is that pets suffer and the damage can be lethal in some cases. Leaving your animal inside your car, even with the windows barely open is an extremely dangerous thing to do. Please avoid doing this and, if you see an animal being trapped inside a car do not hesitate to break the window, by law you are allowed to do it just to protect the integrity and health of the animal. 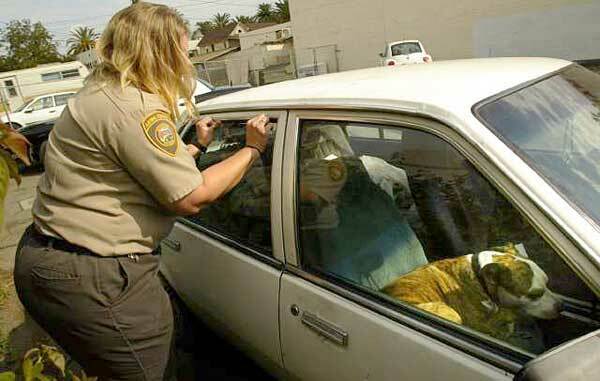 Leaving a pet inside a car is a crime and must be punished. Ok, just to make it a bit clear, veterinarian Dr Ernie Ward made a test to see how hot it can get inside a car. The initial temperature was approx 35C (which is 95F for those Americans), well, after 30 minutes inside the car, even with the windows barely open, temperature reached the unbearable 47C (117F) which for humans is deadly, now imagine for a poor innocent animal that cannot do anything to escape. We humans can be real jerks sometimes. It is on us to change that. Let’s educate ourselves and protect our beloved pets!